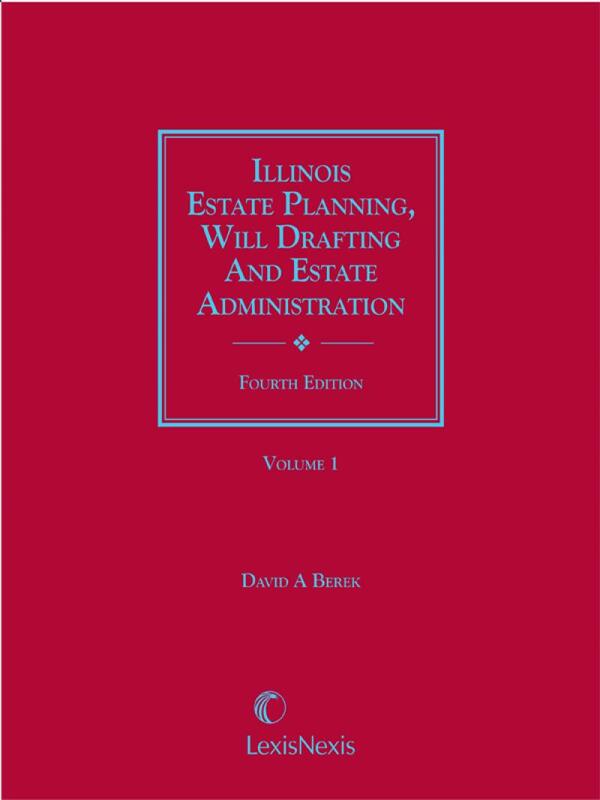 Illinois Estate Planning, Will Drafting and Estate Administration Forms, Fourth Edition is the one guide you'll turn to again and again as you serve the needs of your clients and their families. 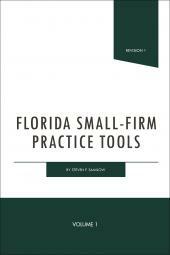 - Reformatted chapters for easy of customer use; new chapters on Insurance Planning, Asset Protection Planning, Gift Tax Returns and Guardianship Considerations. - Expanded discussions of planning considerations for various situations. 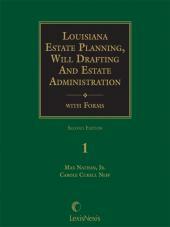 - Expanded discussions of opening a probate estate, considerations surrounding probate, and closing the probate estate. - Separate chapters devoted to using various entities, such as partnerships, LLCs, and trusts. 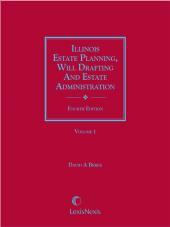 - All of the forms that are necessary for estate planning and administration in Illinois. David A. Berek is a Partner in the Advanced Planning and Family Office Practice Group at Handler Thayer, LLP. He focuses his practice on Family Office Administration and Structuring, Wealth Transfer Planning, Income Tax Planning, and Trusts and Estates. Prior to joining Handler Thayer, LLP, David was a Wealth Strategist in the Credit Suisse Wealth Planning group and a Family CFO in the Credit Suisse Family Office Group. As a Family CFO, David worked with ultra high net worth families coordinating the family's financial and estate planning goals with investment management. 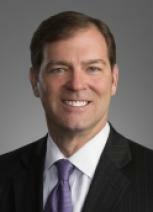 Prior to joining Credit Suisse in 2005, David practiced for 6 years as a trust and estate planning attorney, most recently with McGuireWoods LLP and Kirkland & Ellis LLP. David also has 7 years of public accounting experience with Arthur Andersen LLP and Coopers & Lybrand LLP specializing in the taxation of high net worth individuals, and 4 years of experience in estate settlement and trust administration with The Northern Trust Company. David is licensed to practice law in Illinois and Florida and is awarded an AV peer review rating by Martindale-Hubbell which is the highest rating available for both legal abilities and ethical standards. David is also a Certified Public Accountant (Illinois), and a Certified Financial PlannerTM.